Two views of Mount Aeolia, the home of Territorial Governor Frederick P. Stanton, near Lecompton, Kansas. 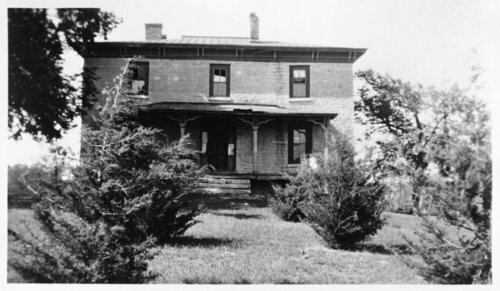 The house would later be owned by Governor Harry Woodring. People - Notable Kansans - Stanton, Frederick P.